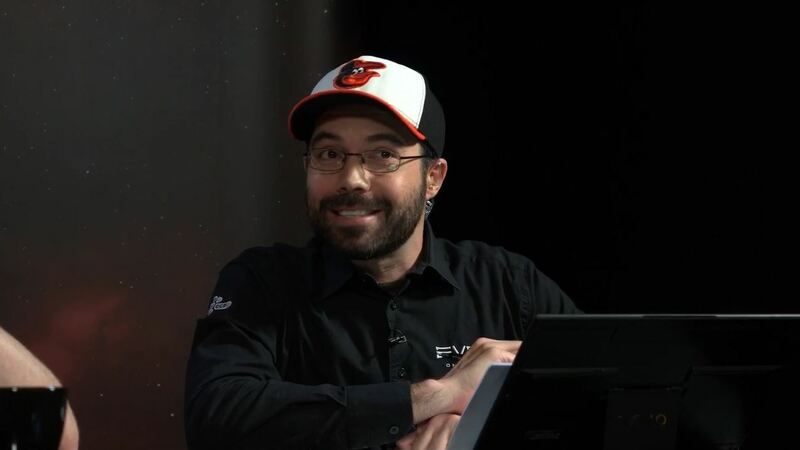 Today we have an interview with the host with the most (baseball caps), ATXIV anchor CCP Antiquarian. Crossing Zebras: Hey there Antiquarian! CCP Antiquarian: I’m genuinely honored to be able to represent the EVE Online Alliance Tournament Team here, Apothne. Thanks for the opportunity, and of course for your hosting on EVE_NT’s first weekend coverage. You guys really raised the bar. CZ: What is your day-to-day job at CCP? CCP Antiquarian: I am a Quality Analyst for the graphics and audio segment, but all my business cards say Graphic Analyst because it’s marginally sexier. I’m one of four analysts responsible for making sure assets appear and sound correctly in the game, and checking that the new tech we introduce reacts well with our pre-existing code and system requirements. We also provide feedback on the designs and development processes for our teams. 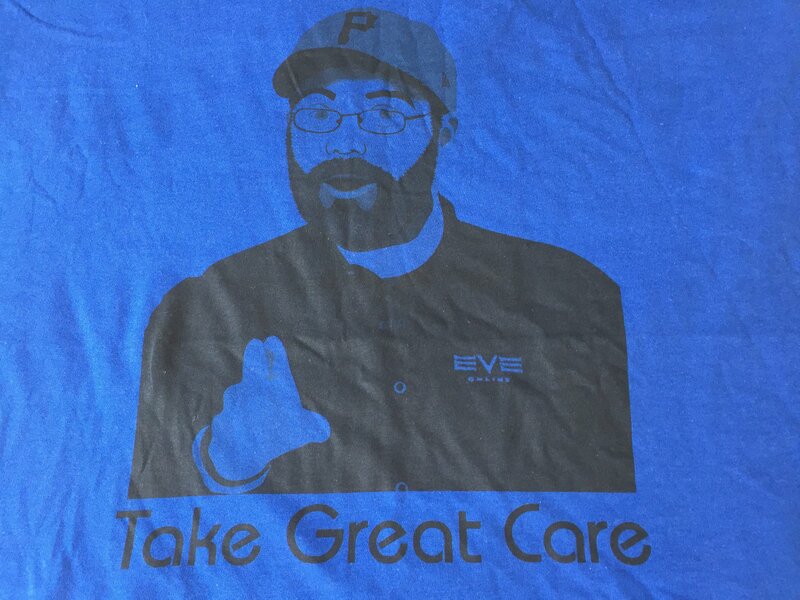 EVE dev has a really great imbedded QA system and QA Director CCP Goliath is a fantastic leader with an admirable beard. CZ: This is your second time hosting the Alliance Tournament, what got you interested in the AT and how did you get involved with the hosting role? 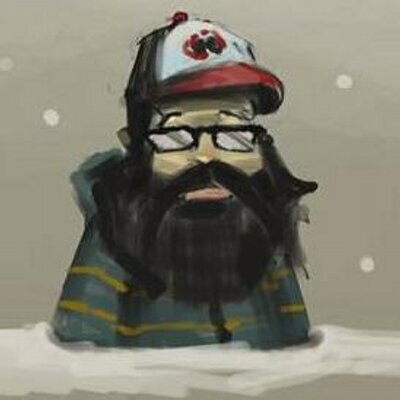 CCP Antiquarian: My first official involvement with the AT was as a guest dev on the desk in 2014. But I was a spectator back in 2012. Was pretty much immediately smitten with the entire concept of “EVE with Rules”. People were talking about fleet comps and module restrictions. It really grabbed me. As for hosting, I used to MC (and DJ) sporting events in Toyooka, Hyogo (Japan) in the late aughts. In Spring of 2015, CCP ScottChocolate and I voluntarily provided running commentary for the Devs vs Players Football Game that was held during Fanfest. A few of the Community guys liked my style so when Gargant left, they asked if I could fill the (sizable) vacuum. They have yet to realize the tactical blunder. CZ: What do you do to prepare to host the AT each year? Research the teams? Go over old VODs? Perform ritual sacrifice to forgotten pagan gods? CCP Antiquarian: I read a lot of CZ articles, for one. And I tune into the ISD/EVE_NT broadcasts. I also watch anything I can featuring the commentators so I can get an idea of their specialties and the flow of their chat. I like to get together with as many of them as possible beforehand to start building that elaborate structure of trust and plotting its demolition. I do maintain my own database of how many times teams have appeared, what they’ve flown, who they’ve defeated, and when applicable, from which other teams they’ve splintered. Sometimes that data is unavailable on stream, but I try to review it and have as much to hand as possible going into the broadcast. The first year, I watched every AT match and analysis desk segment. CZ: The player commentator team is almost completely different this year to last, are there any key differences you’ve noticed between the two teams? CCP Antiquarian: The ATXIV crew is great, but they are very different from last year (Chessur notwithstanding). Everyone is sort of an amalgam of everyone else in my mind. Zarvox provides Apothusiasm with Squeebles’ antagonism. Gorion has Squeebillian weirdness with Elise-level awareness of the world. Mawderator drops Apothne encyclopedic knowledge with Randolphian smugness (look at that smirk!). But they are those things with the commentators’ unique styles, of course. That said, I’ll always have a place in my heart for the 2015 line-up. Vocal warm-ups are not the same when you are the only participant. CZ: In your mind, what makes a good commentary team as a whole and good commentators individually? What roles does the team need to fill? What are the key skills? CCP Antiquarian: It’s a balancing act. Excitement is necessary but not enough. Knowledge is requisite but insufficient. Eloquence is important, but cannot completely carry the capable commentator. Every individual needs some measure of each of those three elements. And then the team needs rhythm, respect, rapport. And assonance and/or alliteration also, as is apparent, Apothne. The selection process we have looks at all of that, and we also give prospective commentators a kind of practice test to see how they deal with “on air” situations. CZ: Are there any special moments for you so far this year, or any teams that have won over your heart that you’re rooting for? CCP Antiquarian: I think everyone pretty much lost it during NC. vs PL. It’s hard to view things in perspective when you have a data point like that skewing the curve. FC, can I bring my Drake? YES. PFR has genuinely impressed me this year, and while I started off being a little hesitant (the team is not as innocently underdog-ish as they were last year), they’ve flown really well. I’d like that Exodus. fight on Saturday to go down to the wire. I don’t like taking a side or making predictions, because I feel like it’s either piling on or discouraging Cinderella stories. I just want every match up to be close, every 10 minutes to be exciting, and every pilot to feel like his/her decisions matter. That’s EVE Online at its best. What you do matters. What you choose has an impact. I want that to be the case with the Alliance Tournament as well. CZ: What’s your favourite meme so far this year? Mine is totally sad Mawderator. CCP Antiquarian: Sad Mawd is hard to beat. Gimlion (Fellowship of the AT) is pretty good. Someone was super bored with my babble and snapchatted a rabbit face on me with the caption “He doesn’t carrot all!” which had me on the floor. CCP Tara sent that to me, I have no idea if it’s on reddit or Twitter or what. I hope there are more. Someone has to dethrone the Smuggernaut. Speaking of which, any EVE player is more than welcome to hit me up on Twitter or reddit or Twitch if you see me there. Bring the memes, bring the savagery. Or, you know, tell me that I’m not dying on air. Or is it “midstream” now? You kids. CZ: How would you describe the Alliance Tournament atmosphere and tone as a production and competitive video game to a non-EVE player, in comparison to core E-Sports such as LoL, SC2, DotA2, etc? CCP Antiquarian: The AT, as a result of EVE’s nature as a complete virtual world, is a completely different animal than the events for games which are designed specifically to generate digestible chunks of competition. There is a bit more history and background that goes into understanding who has access to what ships and which pilots have flown for which corps. There are a lot of rules that require familiarity with what is available in the non-tournament environment. Oh and it helps to have a really firm grasp of fleet ops and ship roles. That learning curve can be a bit daunting, but the Alliance Tournament is also a bit more relaxed than some of the more produced E-sports events. Our commentators are players, our host and tournament team are all dev volunteers. Our camera operators and refs are GMs and devs that give up their weekends because they love the event and the playerbase. Again, a kind of seesaw. More complex, less formal. More historic, less viscerally twitchy. Unless you’re a Habit fan. Then it’s full twitch and terror, every match. CZ: Do you collect antiquities as your dev name would suggest? CCP Antiquarian: I collect old books, as did the antiquaries of old, and also vintage videogames and systems. I have an old heavy-sixer that was the delight of my larval development, and a pretty respectable number of cartridges from the first four generations of console gaming. I know, I know, “PC master race,” emulate, migrate, etc. But there’s history in the forms of things. Respect the fonds! And if that’s not a tip-off, the dev name actually stems from my background in archival document and records preservation. CZ: Any news on the ATXIII Sansha Victory prize skin re-do, or the ATXII Rattlesnake Victory Edition implementation to the modern skin system? CCP Antiquarian: We’ve got the tech in place now with ship skinning and the upcoming pattern projection changes (Requisite marketing aside: keep your eyes on the New Eden Store for future SKIN offerings.) for that, but finding the actual artist and dev hours to make it happen is usually the sticking point. When G&A has to choose between working on a new feature, fixing legacy defects, or improving something that works but maybe isn’t ideal, we tend to go in that order. Not all the time, mind you, but generally. When any prizes are up for a rework, I guarantee we plaster the patch notes with the news. Please read the graphics patch notes, by the way. Sometimes I alphabetize them! CZ: Why do you hide your surprisingly beautiful and well-groomed hair under baseball hats? Is it to contain the near-infinite trivia knowledge housed there erupting from your skull? CCP Antiquarian: Trivia knowledge? I don’t know what you mean. NO KNOWLEDGE IS TRIVIAL. I just really like both hats and baseball. There is no baseball in Iceland, so whenever a dev goes to a town with a team, they bring me back a local cap and I add it to the collection. A huge percentage of the hats you see on stream is a result of CCP attendance at an EVE player meet-up, event, conference, or forum. Not my Baltimore caps, though. Those are hand selected. CCP Phantom for recommending me for the host job. CCP Goliath for helping me keep the ACTUAL job. CCP Falcon for sending me to EVE Down Under next month. All the CCP Devs, GMs, and volunteers that contribute to the AT year after year. My ATXIV, ATXIII, and AC commentators. All the pilots in the tournament that blaze out gloriously. Tinkeng, man…what a piñata. Everyone in W-space for continuing content generation. CCP Antiquarian: Until Saturday, this is CCP Antiquarian for the entire CCP Tournament Team reminding everyone at home to (stealing this from CCP Rise) Fly Free. PS: I (Apothne) am super excited to announce that on Sunday October 16th, in co-operation with #EVE_NT, I will be hosting a Alliance Tournament Finals viewing party & meetup! When: Sunday October 16th, starting ~15:30 local time. The Bristol Pear is a 30 second walk from Selly Oak train station which has regular trains to and from Birmingham New Street, Birminghams main train station. If you are planning on driving there I would suggest avoiding the centre of town as it is the day of the Birmingham Half Marathon, so some roads will still be closed. Prediction competition: There will be a competition to predict the outcome of the finals day games with the winner receiving one Sansha Victory Edition skin. Come have a pint with EVE nerds as we watch the final day of the tournament!